Ramon Morales, 62, of the 3200 block of Cedar Street, has been arrested and charged with murder and related offenses in connection with Wednesday's hit-and-run death of a 36-year-old man in Port Richmond. A 62-year-old man has been charged in Wednesday's hit-and-run that killed a 36-year-old man riding a motorized scooter in Philadelphia's Port Richmond neighborhood. 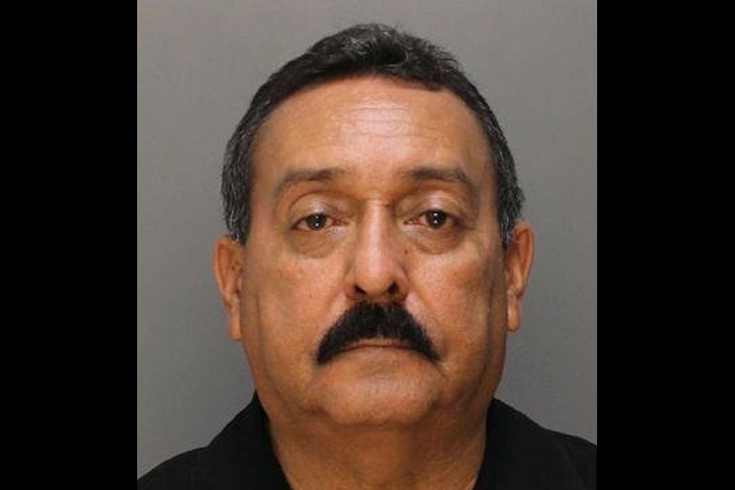 On Friday, Philadelphia police announced the arrest of Ramon M. Morales, of Port Richmond. He has been charged with murder, causing an accident involving death, homicide by vehicle and involuntary manslaughter in the death of Thomas Dunbar, of the 900 block of Almond Street. According to police, Morales allegedly was driving an SUV – described as a Pontiac Aztec with New York tags – southbound on Aramingo Avenue at 9:22 p.m. Wednesday when he turned westbound onto Lehigh Avenue and allegedly struck Dunbar and his scooter. Police said Dunbar became trapped under the vehicle and, when Morales allegedly didn't stop, Dunbar was dragged more than 240 feet along the roadway. Witnesses attempted to stop the fleeing vehicle, investigators said, but were unsuccessful. Dunbar was taken to Hahnemann Hospital in critical condition and died from his injuries at about 9:55 p.m.
Police said investigators discovered an unoccupied SUV reportedly matching the description of the one in the collision at Madison and Cedar streets, about a mile from the crash scene, at 11:50 p.m. Wednesday. On Thursday, officers arrested Morales after executing a search warrant at a home along the 3200 block of Cedar Street.